NORTH VANCOUVER, BC – Beere Brewing has announced the release of a new “West Coast-ish” IPA. Dry hopped extensively with Simcoe, El Dorado, and Columbus. Fermented with clean american ale yeast resulting in a big crispy beer packed full of hops but pouring on the clear side of things. Lightly bitter, with notes of blueberry, pine resin, candied grapefruit, and ripe pineapple. 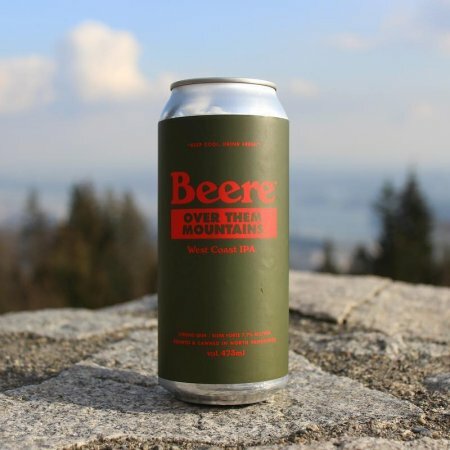 Over Them Mountains is available now in the Beere Brewing tasting room and retail shop, with distribution to select private liquor stores in British Columbia to follow next week.